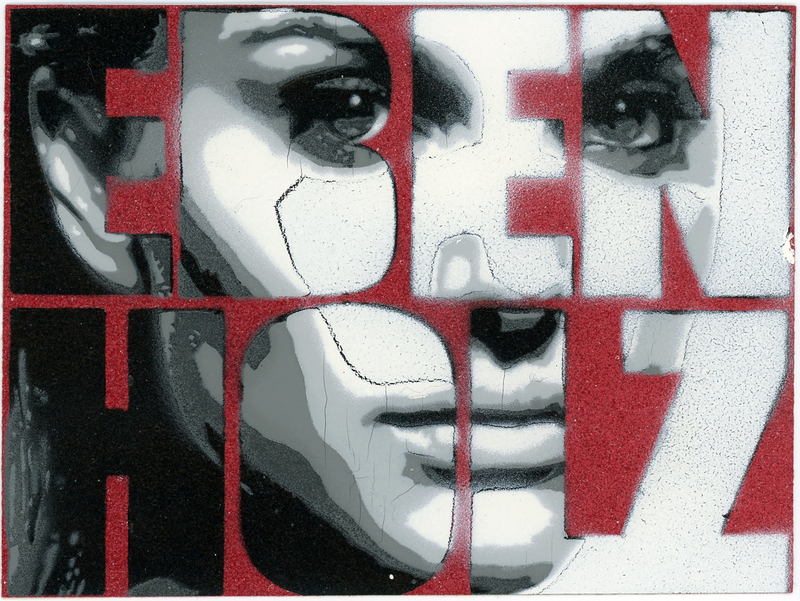 This sticker depicts the face of a woman and the tag of the artist, Ebenholz. When asked about this sticker, he stated, “I've started in 2009 with stenciling and a bit later with stickers. Changed the style to '70s girls and patterns at a point and well, that's what I like most.” Like many sticker artists, Ebenholz also uses “Hello My Name Is” and USPS mailing labels to create postal ‘slaps.’ Ebenholz has been involved with a non-profit organization called theArtFabric, which creates collaborations between disadvantaged communities and artists to produce art that encourages dialogue about local issues.